Chinese team Pangu just released its new Untethered Jailbreak, Pangu 9, to help some people jailbreak their iPhone, iPad or iPod Touch running iOS 9.0 to iOS 9.0.2. As is known that jailbreaking allows iPhone, iPad and iPod touch users to install unapproved third-party apps, tweaks, mods, custom themes, utilities and other content — called “packages” — from Cydia, an unofficial App Store for jailbroken devices. Plus, users can further customize and enhance their iOS devices beyond the limits that Apple imposes. So, how to jailbreak iOS 9 on iPhone, iPad as well as iPod Touch? Here are detailed steps for you to jailbreak your iDevice running iOS 9 successfully. 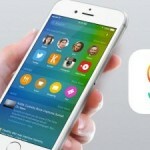 What should you do before jailbreak iOS 9? Here are several things you need to do before jailbreak. Be aware that the new untetehered jailbreak is compatible with all iPhone, iPad, iPod running iOS 9 -iOS 9.0.2: iPhone 4S, 5/5c/5s, 6/6 Plus, 6s/6s Plus; iPad 2/3/4, iPad Air, iPad Air 2, iPad mini, iPad mini 2/3/4; iPod touch (fifth and sixth generations). Back up your iPhone, iPad or iPod Touch with iTunes, iCloud or iFoneBackup comprehensively just in case of data loss. PS: when you lose some data after jailbreaking, use iFonebox to recover your lost data from iDevice or backup data. If you have upgraded to any version of iOS 9 from an OTA (Over-The-Air) update system, make sure you first restore to a fresh version of iOS 9.0.2 from iTunes. Not doing this will likely result in jailbreak failing on your device. Pangu 9 now is only available to Windows version. Mac version is under testing. Download Pangu 9 for Windows from here: Download Pangu 9 iOS 9 – 9.0.2 Jailbreak For iPhone 6s, Plus, 6, 5s, iPad And More. Here are several steps you need to follow in order to jailbreak iOS 9. First up, turn off Find My iPhone on your iPhone, iPad or iPod touch. Simply go to Settings > iCloud > Find My iPhone and turn off “Find My iPhone”. Turn off Passcode and Touch ID unlock. To do this, simply navigate to Settings > Touch ID & Passcode and then tap on “Turn Passcode Off”. Connect your device to your computer and launch Pangu 9. Now click on “Start” button in the center for the jailbreak to begin. You will now get another window, tap on “Already backup” to continue. During the jailbreak process, you will notice two apps appear on the Home screen, one named Pangu and another named WWDC. Your device will automatically reboot after which the tool will ask you to unlock your device and turn on Airplane Mode again. Once you turn on the Airplane Mode again, you will notice the tool will continue thejailbreaking process. After a short while, it will ask you to run the Pangu app from the Home screen. Do it and give access to Photos app when prompted to. After a short while, the jailbreak will complete and you will get the message “Jailbreak completed” on the tool. You can now safely close the Pangu app on Windows. Your device will now restart after which you will find Cydia on the Home screen. How To Recover iPhone Contacts Lost After iOS 9 Upgrade?